WWW – Make Up from ana manzano on Vimeo. My video screening at the event WHAT WOMEN WANT. Finally, I am getting my braces done on Monday! I had 4 teeth pre-molar teeth removed this week. Trying to have my regular meals posed an issue because my jaw just aches from the process. My Mother-in-law was kind enough to sliced the sandwiches into bite size and made congee for me. About 10 years back, an aquaintant pointed out that my teeth are crooked. It did not really bother me because I am just a student and my duty is not to look good. However, my attitude changed during my interview 2 years back, with my current boss who is a respected figure in the image managment industry, pointed out that I should get my braces done. I wonder “Why?”. A smile is worth a million dollars and sometimes it means winning the trust of people to earn that millions. It shows trust and sincerety. Also, it signifies your hygiene and increases your probability in getting a partner! Face it, looks counts. Do you want to kiss someone with crooked decaying teeth? A smile is a curve that sets everything straight – Phyllis Diller. Been doing makeup and hair for my friends and family for the last 3 weeks. Doing up the hair is a challenging part for me, however there are very trusting friends who are willing to experiment on them. One of the toughest thing for me is to understand the texture of the client’s hair, how to adjust the temperature of the curling tong, at the same time achieve the curls that I want! Do spritz water on the hair before curling (especially for rebonded hair) to prevent dryness. You might see and smell smoke *gasp* if your hair gets overheated! A hair stylist friend told me not to apply mouse before curling as it would damage the hair. However, in most of the classic bridal hair, this is necessary to hold the curl for the whole day. You can try applying a heat protection cream before curling. Another option is to spray hair spray after curling. Another skill set to develop for hair styling is to know how to section the hair. Top, middle, bottom, sides and front sections affect the volume that you want to create. If you want to try it out for yourself, try section the back of your hair to top and bottom portion. There are plenty of videos online. Check out You Tube for more! I picked up a couple of tricks from there. (L) Rock Chic. This is taken in 2000. (R) In 2007, she has adopted a classy look. What’s with the Oriental red Chiong Sam? She went from Eeks to Sleek. My idol. The tough lady transformed from a Mama-San to Mama-Mia. Our Asian stars shed their Oriental image to a more globally appealing look. So which do you prefer? Went for my over-due dental appointment today. 10min of Scaling and polishing cost me S$55 and it’s worth it because it keeps my gum and teeth healthy and clean. It’s like removing pimples from the face. Getting an X-ray before putting on my braces which will cost me S$140. The price range for braces in Singapore is S$3500 and above. This is excluding surgery and miscellenous charges. An aquaintant brought up the alignment of my teeth several years back however I did not bother about it. However after joining this image consultation industry I realised the importance of looking good even when you are smiling. You can show off the pearly whites, but are they shiny and aligned? Some might have bunny teeth, others might have chipped tooth due to a fall. Mine? It’s because my jaw is too small to house all my teeth and I had too much coffee as a kid so that explains for the stains. That new smile would be worth more than a million bucks to me. And would certainly bring up my self-esteem. Orthodontics is a specialty of dentistry concerned with alignment of the teeth. Braces are recommended to improve the patient’s bite alignment and/or appearance. With braces problems like crooked or crowded teeth, uneven spacing, overbites or underbites can be corrected. At appointments when wires and elastics are tightened, mild pressure is put on the teeth to shift them gradually into a desired position. Because of this your teeth may feel slightly sore after each visit, but the discomfort is mild and brief. 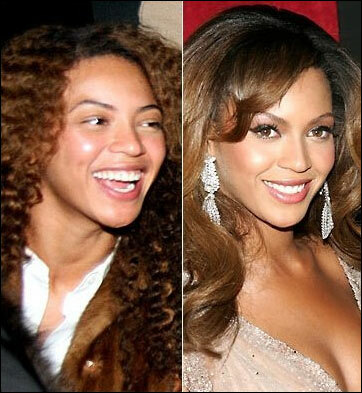 And I would expect to put on the braces about 2 years! Pray for me! A) Lashes is a must. B) Use a contrasting colours to your eyes. D) Dark colours are fine! All 3 have distinctive captivating eyes – a change of brow colour, fake lashes and liner are must-haves! Of course not forgetting their super star smile!